Senior Ashley Harrigan likes to solve crimes. As a forensic science major at Seton Hill, she’s learning how to do that through classroom and lab work, coupled with internships for the Westmoreland County Office of the Coroner and the Allegheny County Office of the Medical Examiner. 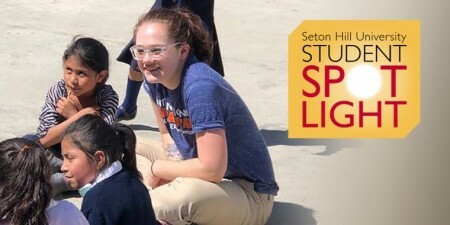 Plus she serves as secretary for the Forensic Science Club and spends a lot of time in Seton Hill’s Crime Scene House – a small house on campus where faculty members set up mock crime scenes for students to analyze.